As regular readers of the CLS blog may know, I love watching movies. But, I am often disappointed with great movies because I hype them up in my mind to unreachable expectations. A recent example is “The Big Sick”. It was a great movie, but the stellar reviews and high praise from trusted colleagues elevated my expectations, and I ended up disappointed. The markets are no different. 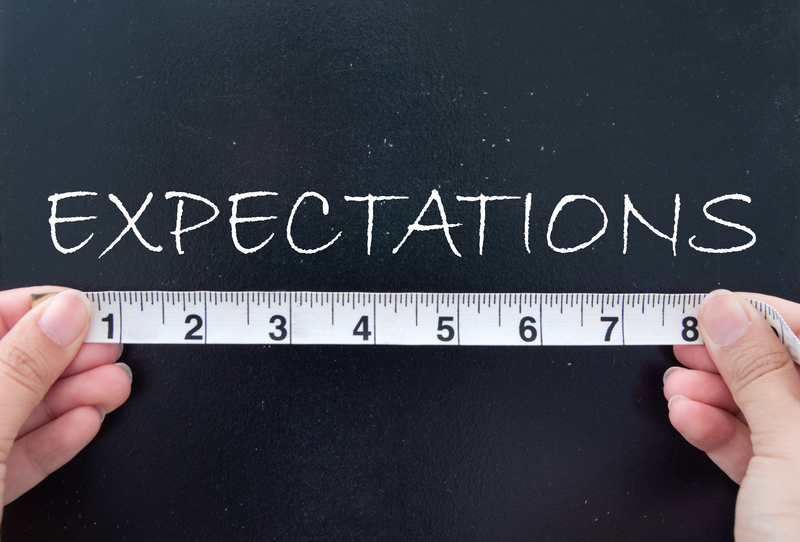 Investors often have high expectations for market returns, which often lead to disappointment when the market doesn’t deliver. These expectations are elevated by the same forces driving those of movies — colleagues discussing their successes, sensational media headlines, and analyst and economist forecasts (similar to critics’ movie reviews). In addition, as bull markets heat up, expectations rise. Then, any type of negative market action may cause an unwarranted investor reaction — for example, selling investments in a panic as they hit bottom. At CLS, we believe a bear market is unlikely because there are no signs of an economic recession. Global economic growth is stable and strengthening in many countries, and corporate earnings have rebounded in 2017 after several years of weakness. But, we do foresee below-average returns in the near future for the following reasons. U.S. stock market valuations are at record highs, which suggest a higher probability of reversion to the mean and weaker performance ahead. Since 1929, the U.S. market has never experienced a full year with such a small maximum drawdown as we have had in 2017 (see chart below). This is the first year since 1970 that the U.S. market has not had a single monthly negative total return. The U.S. market hit its sixth consecutive high in September. That’s the longest streak in 20 years. Meanwhile, the Chicago Board Options Exchange (CBOE) Volatility Index (VIX), which measures expected stock swings, fell to an all-time low, passing the last record set in 1993. The Dow has set 69 new records for closing highs since the 2016 presidential election. And, it has reached four 1,000-point milestones in one year for the first time ever. All of these statistics suggest this is not the time to get comfortable. Markets are cyclical in nature and a reversal of direction may come sooner than later. This is why it is important to stress a balanced and globally diversified approach to investing that focuses on targeting risk based on both ability and willingness to take it on. Such an approach will help moderate expectations and help investors stay invested for the long run. I took my own advice for the recent premiere of the much-anticipated “Blade Runner 2049”. I was excited about it, but I stayed away from trailers and reviews and kept my expectations reasonable. I thoroughly enjoyed it.